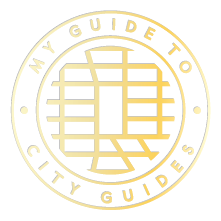 My Guide To is a series of travel guides made by David Ehrenstråhle, honouring inspiring cities across the world. Each print depicts a city as a collection of experiences; it‘s monuments, it‘s buildings and streets as well as the local cuisine, shopping and nightlife. It‘s a personal journal of recommendations which we hope will inspire you to experience the cities for yourself.